The DfE have recently reinforced the need "to create and enforce a clear and rigorous expectation on all schools to promote the fundamental British values of democracy, the rule of law, individual liberty and mutual respect and tolerance of those with different faiths and beliefs". 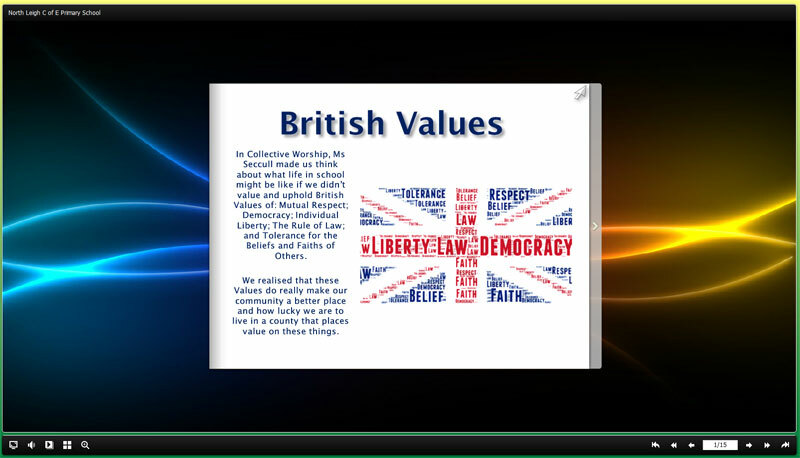 The government set out its definition of British values in the 2011 Prevent Strategy and we work continually at North Leigh to ensure our community is both aware of these values and that they are reflected within our school community. Reward systems – House Points, Well Done Certificates etc. Independent thought / learning - opportunity to make choices in learning, homework, uptake of clubs etc.